How to merge Word to PDF with many handy options? You are here: CoolUtils > Total Image Converter > How to merge Word to PDF with many handy options? JPEG is an image file format standardized by the Joint Photographic Experts Group. It supports up to 24-bit color and is created with lossy compression. PCX in its turn is a relatively outdated raster image format developed by ZSoft. It has been replaced with newer formats, but is still considered to be the original bitmap image formats for the DOS/Windows platform. We know that our users sometimes need to adapt JPEG images to the PCX format and that is why we have created Total Image Converter. This unique tool, a batch image converter, is designed to help you process images in JPEG and other image formats into TIFF, JPEG, RAW, PNG, BMP, PSD, TGA and more. If you want to convert JPEG to black and white PCX, we have good news for you! The latest version of Total Image Converter has this feature enabled! The step-by-step guide on simple JPEG-PCX conversion is available here. To convert JPEG to PCX and select BW algorithm, you need to make only a few extra clicks! 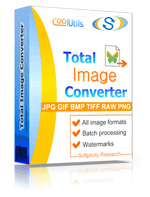 As usual, select JPEG files you want to convert using black and white algorithm from the list of files and folders automatically generated by Total Image Converter. Set PCX as target format by clicking of the corresponding button. In the new dialogue window, select "Black and white algorithm section" and choose one of the available algorithms: Floyd-Steinberg, threshold, or Dithering ordered. Then set or select one of the value options. Finally, click "Start!" to begin automatic JPEG-PCX conversion or proceed with changes to default settings. 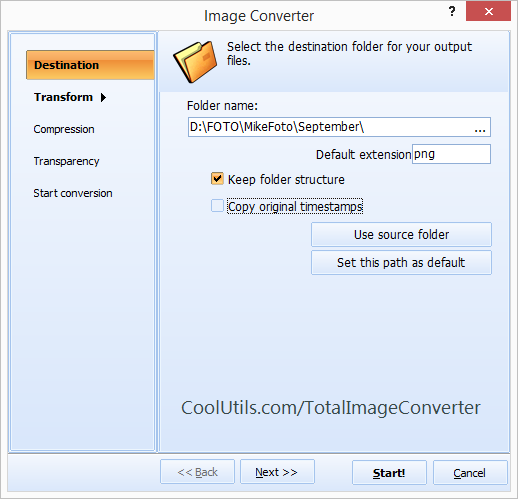 You can learn more about Total Image Converter from CoolUtils 24/7 support team. Don't hesitate to contact us immediately! 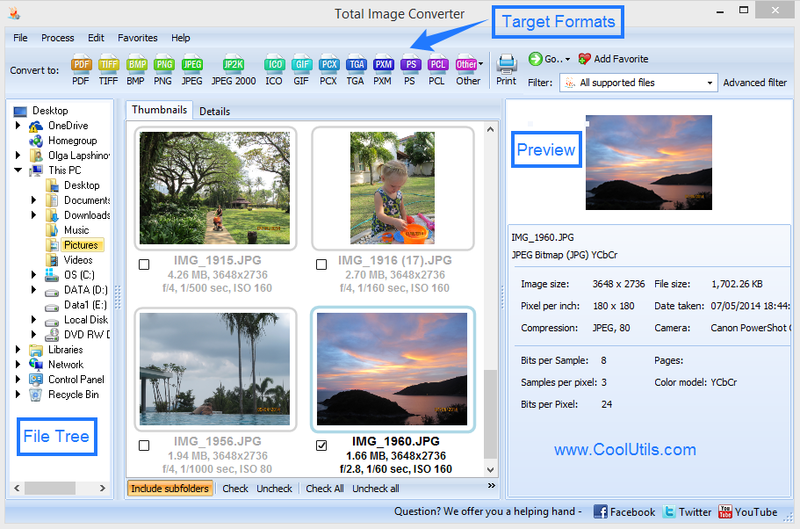 Or click here to download the 30-day free trial version of the newly updated Total Image Converter!